Two years ago, two former UNL Animal Science graduate student colleagues, Kim Clark (M.Ag. ’09 from UNL) and Hugo Ramirez-Ramirez (M.S. ’11 and Ph.D.’13 from UNL), began discussing the needs of dairy producers in Nebraska and Iowa. Clark, a dairy extension educator at the University of Nebraska and Ramirez-Ramirez a dairy extension specialist at Iowa State University both attended graduate school together under the direction of Dr. Paul Kononoff, a University of Nebraska-Lincoln dairy extension specialist. 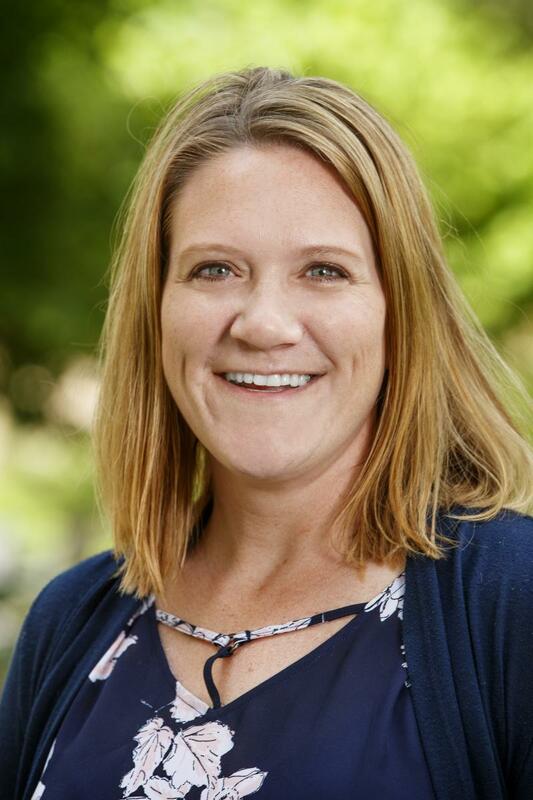 Jennifer Bentley, a dairy field specialist at Iowa State University also joined Clark and Ramirez-Ramirez on the team. The needs assessment by the team, completed through one-on-one conversations and a survey with dairy farmers, determined that most dairy farm employees know what they need to do for their job, but they don’t know the “why” behind their job. These conversations led the dairy team to begin Extension programming focused on newborn calf care and management. A pilot project, which tested the need and effectiveness of on-farm newborn calf care and management training for employees, was developed. The pilot project indicated two areas are lacking on dairy farms, hands-on training for employees and training in employees’ native language, which is Spanish for most dairy farms. This pilot project lead the Iowa State University and University of Nebraska-Lincoln dairy teams to jointly apply for a USDA grant, which was awarded and began in the spring 2017 and will conclude in the fall of 2018. The grant will provide short videos in the areas of calf nutrition, colostrum management, hygiene, handling, and automatic calf feeders in both English and Spanish for dairy producers to use for on-boarding and employee trainings. The first phase of the grant project was hands-on trainings at a number of dairy farms in Iowa and Nebraska where video was captured at each of the trainings to be used in a final training video. Currently, the videos are in production, and it is estimated they will be available for dairy producers in this fall. Dairy producers can request these videos on either DVD or flash drives at no cost. Each media source will include videos in each of the topic areas in both English and Spanish to allow dairy producers, managers, and employees the flexibility to select the videos they want to use for on-boarding and meetings and in either English or Spanish. Videos can be requested by visiting this link and completing a short survey. With the success of this program, the team is planning to provide video resources for other areas of the dairy farm such as milking parlor techniques, vaccination and injection site procedures, sick and down cow care, silage safety and more. 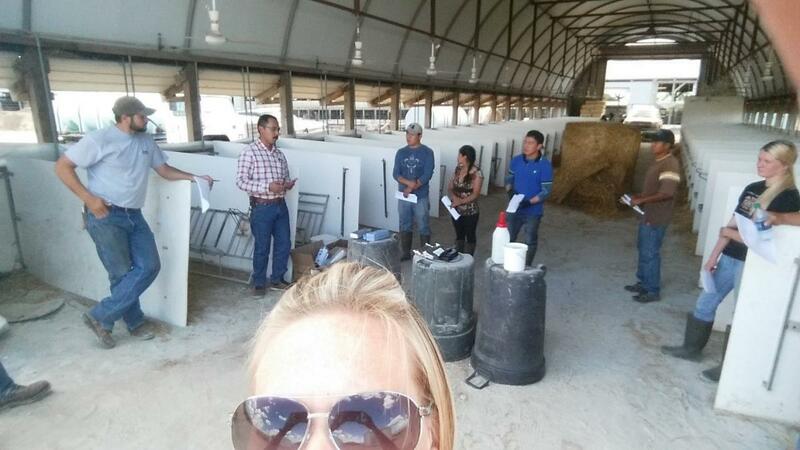 Kim Clark, Nebraska Dairy Extension Educator takes a selfie as Hugo Ramirez-Ramirez, Iowa State University Dairy Extension Specialist provides hands-on colostrum management and calf nutrition training in both English and Spanish to dairy farm employees.